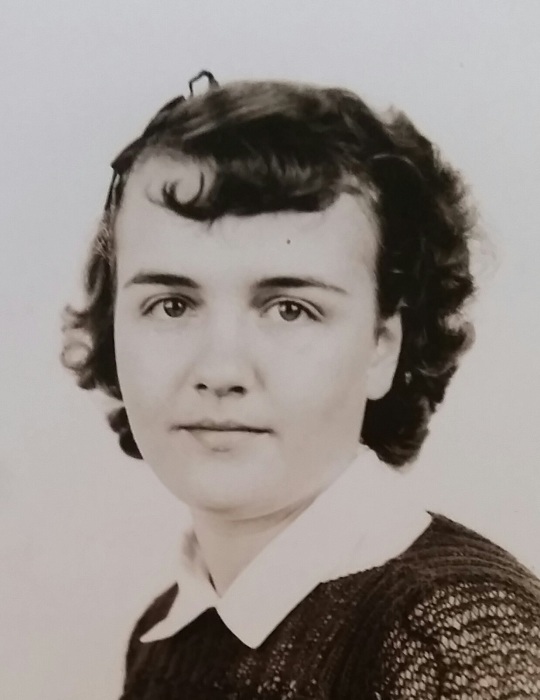 Obituary for Mavis Luella Hedlund | TRAUB FUNERAL HOME INC.
Mavis Luella Hedlund, 98, of Chittenango formerly of Canton, passed peacefully on Wednesday, December 5, 2018, with loving family by her side. Mavis is predeceased by her husband in 1996 and son-in-law William Golliff in 2016 and her great grand daughter Chelsi Varney in 2012. She is survived by her daughters Dee Ann (G. James) Traub, Elna (Phillip) Gordon, Karen Golliff, and Leslie (Jack) Stapleton; 14 grandchildren; and 33 great grandchildren. Calling Hours will be held on Saturday, December 8, 11 am to 1 pm, at Traub Funeral Home, Inc., 7975 Rt. 31, Bridgeport with a Memorial Service to follow at 1 pm. Burial will take place in the spring in Russell, NY. Contributions may be made to The Grand at Chittenango, Attn: Activities, 331 Russell Street, Chittenango, NY 13037, Alzheimer's Association CNY Chapter, 441 W. Kirkpatrick Street, Syracuse, NY 13204, or The First Unitarian Universalist Society of Syracuse, 109 Waring Road, Syracuse, NY 13224.